Living a Fit and Full Life: Unicorn and Rainbow Summer Fun with BigMouth Inc! BigMouth Inc. is a designer and manufacturer of outrageous lifestyle products based in Glastonbury, CT. Every item we offer is exclusively designed and manufactured by us. If you are looking for the perfect gift for a friend (or yourself, don’t lie), BigMouth products are always a hit. There you are, relaxing with a good book and the sound of the waves serenading you to sleep. You reach to your side to grab a sip of that ice-cold tropical drink you just spent $15 on. You lean over, straw-in-mouth, and draw a swig, and to your surprise, it’s just a cup of sand. As it turns out, you sat down at the wrong spot because everyone’s banged up, ratty ol’ bath towels look the same! It’s time to upgrade your little piece of heaven on earth with our Gigantic Rainbow Beach Blanket. It’s 5 feet across, giving you all the room for your essentials—cooler, suntan lotion, and mobile phone. It’s bold and bright, making it unmistakable on a crowded beach, while the included storage pouch holds all of your stuff. Imagine this: you’re 4 songs into your Summer Jamz 2011™ playlist. You’re floating in the pool but the sun is relentless—the thirst for that frozen drink you slaved over 30 minutes ago is intense. You reach over, and in a moment of absolute horror, realize it’s nowhere to be found. You grab your phone. Do you dial 9-1-1? 4-1-1? Do you just throw it in the deep end? THIS IS NOT A DRILL! But you can relax—we gotchu fam. Just inflate one of our Unicorn Beverage Boats! They keep any standard size drink afloat so you can relax—uninterrupted—without having to get out of your badass lounge pose just for a sip. Even better, each package contains 2 Beverage Boats so you and a bud can soak up the summer (ok ok—you can use the 2nd for a backup drank). Unicorn and rainbow summer fun with BigMouth Inc! BigMouth Inc has a huge selection of super fun products that are perfect for summer and these two are the perfect way to enjoy summer. 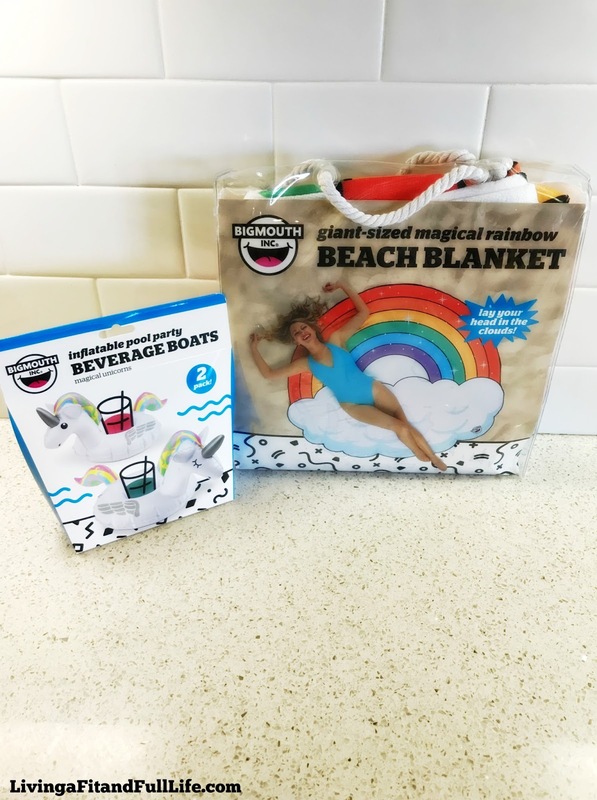 BigMouth Inc's Gigantic Rainbow Beach Blanket is the perfect beach blanket because it's large enough to hold all your stuff while keeping the sand from sticking to you. It's also perfect for picnics around the pool or at the park. I also love that I can wash it when it gets dirty and that it's bright and colorful. 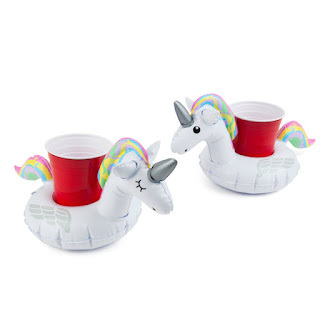 Another fun one for summer is their Unicorn Beverage Boats.Their Unicorn Beverage Boats are the perfect way to keep your beverage close by while you float around the pool. They also looks super cute and inflate quickly. 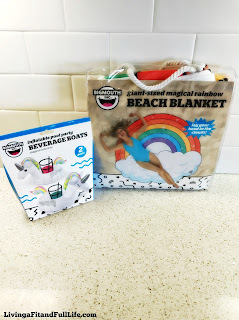 BigMouth Inc makes summer fun easy with their Unicorn Beverage Boats and Gigantic Rainbow Beach Blanket! Click HERE to find a store near you that sells BigMouth Inc! Click HERE to learn more about BigMouth Inc! Follow BigMouth Inc on social media!